(New Orleans, LA) — Objective Medical Systems, LLC has announced that its Electronic Health Record (EHR) cardiology system has earned Meaningful Use Stage 2 Certification from the Office of the National Coordinator for Health Information Technology. This certification represents a significant step toward enabling cardiovascular practices across the nation to select an EHR built specifically for their needs. 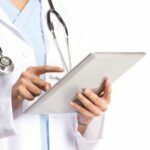 The Electronic Health Records technology developed by Objective Medical Systems was designed from the ground up for cardiology practices to efficiently manage vital patient information. The company’s diagnostic tools, part of its vendor-neutral Cardiovascular Information System (CVIS) for both private practices and hospitals, can instantly pull and analyze information from medical devices, reducing human error while also saving time and money. Together, the EHR and diagnostic solutions enable providers and health care professionals to seamlessly capture and share data across multiple modalities, facilities and practices. Ultimately, the technology enhances physician efficiency and improves documentation. The comprehensive diagnostic component, which offers a total of 16 cardiovascular diagnostic modules, encompasses both invasive and non-invasive tests. This Cardiovascular Information System integrates with any certified EHR system and allows for quick turnaround times while maintaining high productivity levels for busy cardiology practices. OMS diagnostics is able to seamlessly analyze thousands of discrete data elements in the background to provide the physician with actionable intelligence at the point of care. 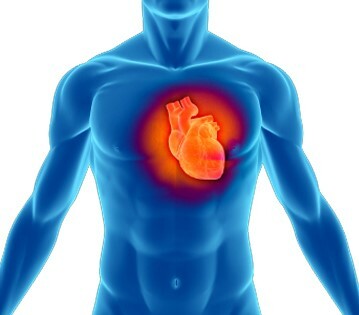 In addition to background analysis, the underlying cardiology rules engine provides clinical recommendations and alerts. Meaningful Use certification is part of the Medicare and Medicaid EHR Incentive Programs that provide financial incentives for the “meaningful use” of certified EHR technology to improve patient care. The program is separated into three stages with increasing requirements for participation of which a number of objectives must be met to advance for full certification. Through the program, the federal government reimburses providers and healthcare professionals that purchase Meaningful Use certified technology. Objective Medical Systems is a health information technology company based in the New Orleans area that focuses on cardiology software solutions for busy cardiology departments and practices across the nation. OMS was founded on the belief that discrete data and background analysis will revolutionize the practice of medicine, improve patient care, increase physician efficiency and reduce errors.